Bow ties are definitely one of my favourite items to experiment with. 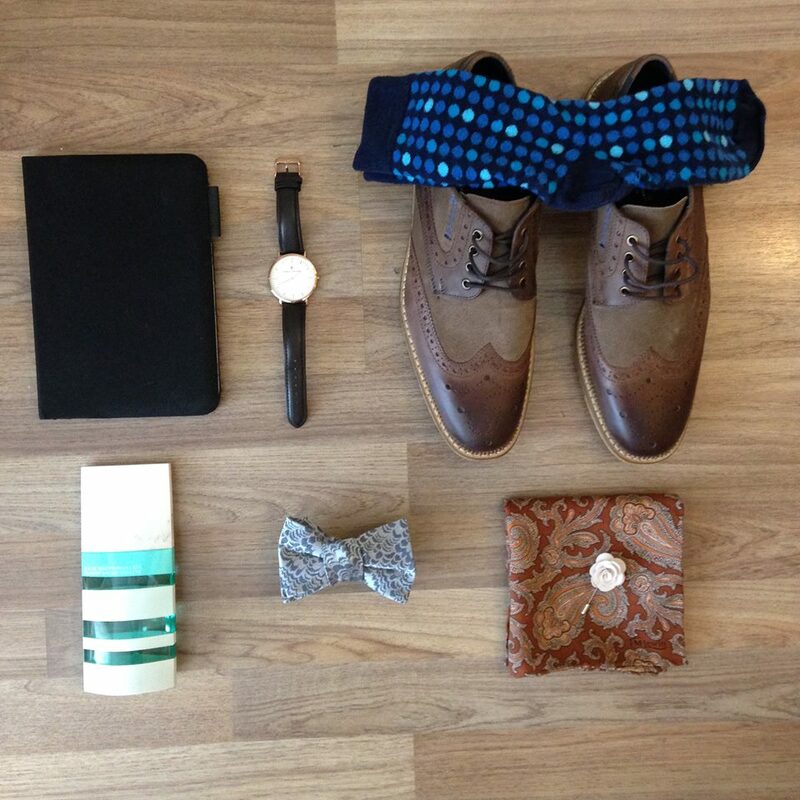 Le Papillon create epic bow ties which never look tacky and the patterns style well with almost anything- definitely check them out if you have a minute: http://www.le-papillon.ca/. Today I opted for Black as my base colour which enabled me to be quite detailed with other items such as the checkered shirt from Douglas Menswear, floral bow tie from Le Papillon and leopard print pocket square from The Hanky Chief. I used my two-tone blazer with this outfit to maintain the largely monochrome theme so that the more vibrant accessories could stand out. There isn’t ever a feeling of too much going on in this outfit because the bow tie is also Black and the floral pattern is a nice accentuation upon the Black colour base. 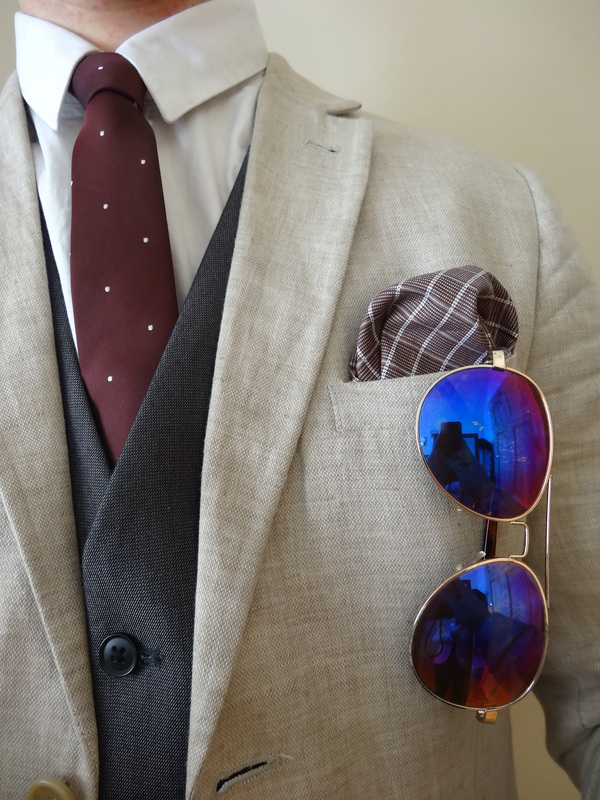 The most prominent item, then, is the leopard pocket square which takes centre stage. 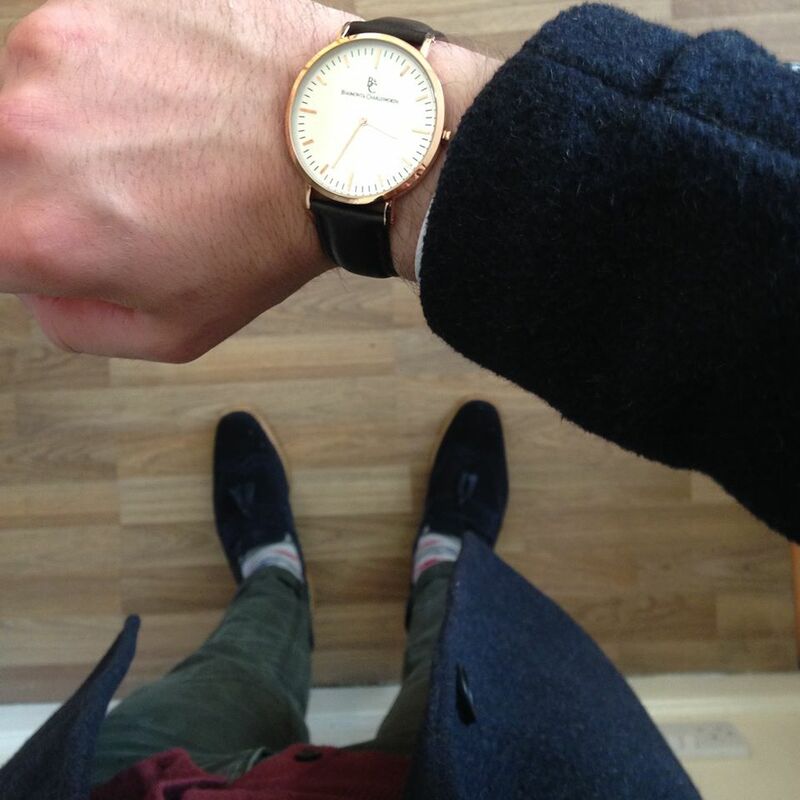 Whilst it is notably different to the majority of plain Black items in this outfit it isn’t ever a clash against other items or colours but rather a nice subtle point of interest. I’ve gone for a check outfit base today. 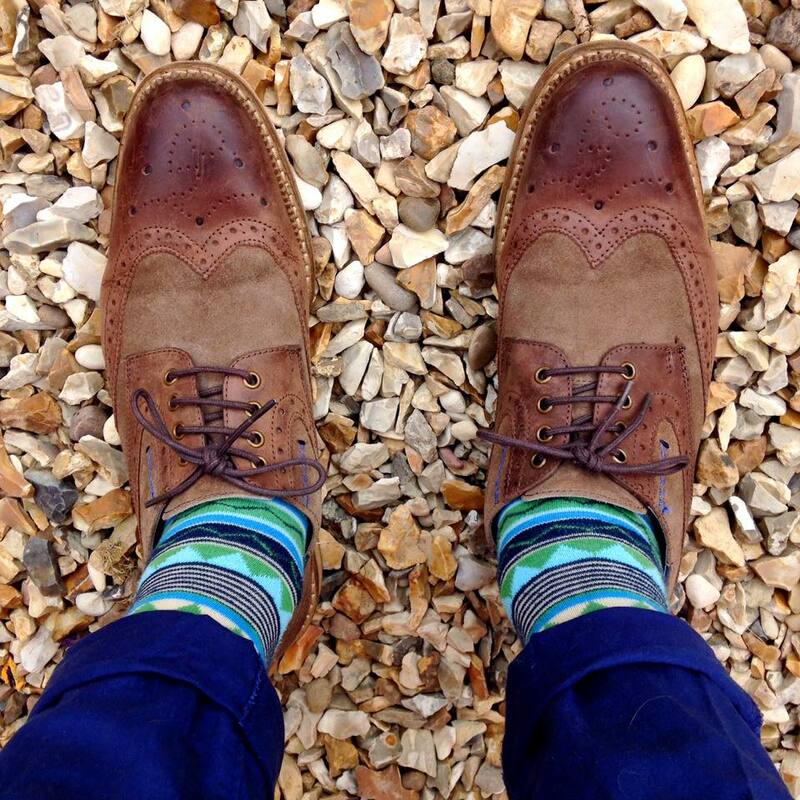 Variations of the check are found in the Mosaic Menswear tie and Sape & Honey argyle socks. 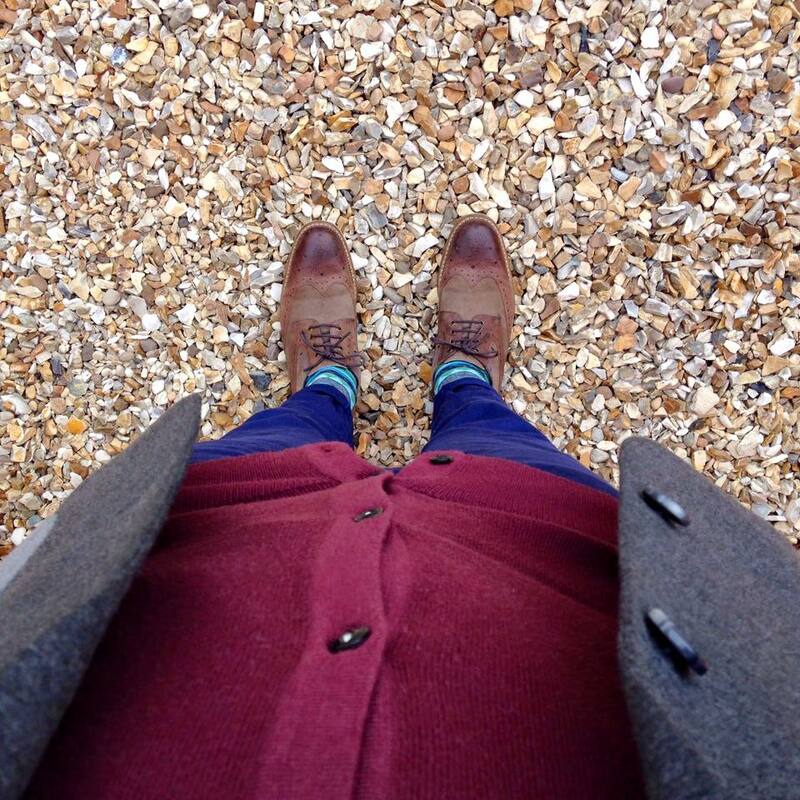 In order to keep things colour consistent I matched the Blue in the Brogues with the near match Blues in the chinos and pocket square. 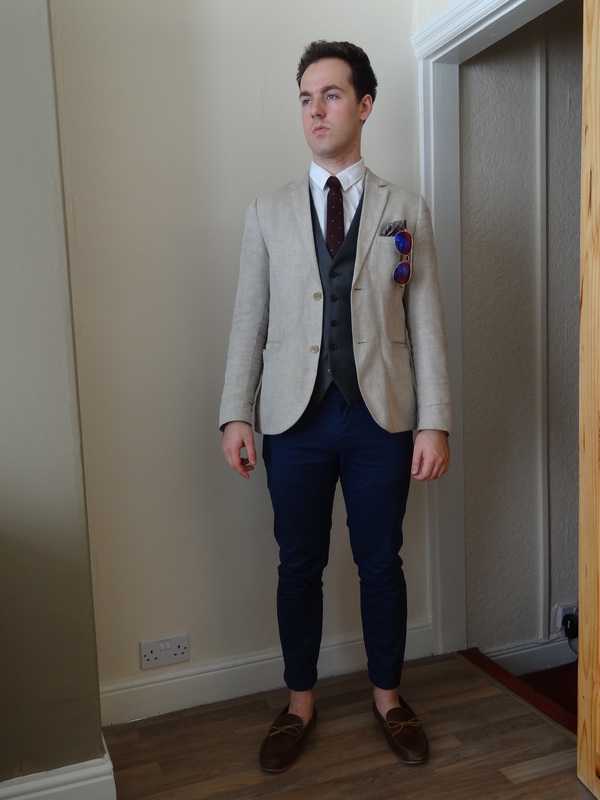 I think the two contrast items in this outfit (blazer and brogues) work because the blazer is monochrome and doesn’t create too much colour complexity. 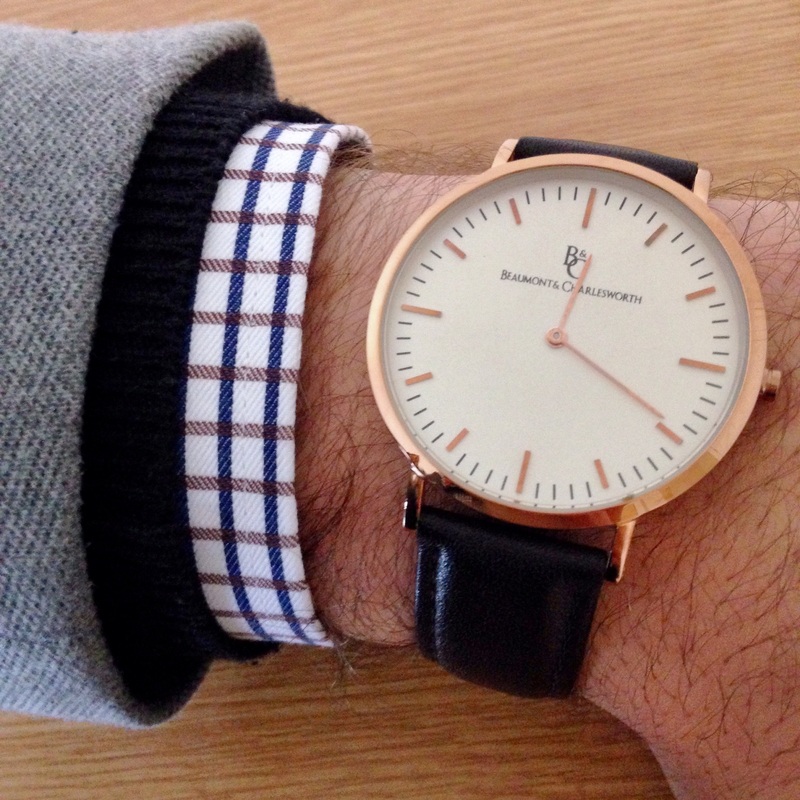 Definitely worth experimenting with since there aren’t many people who opt for two-tone items in their daily outfits. 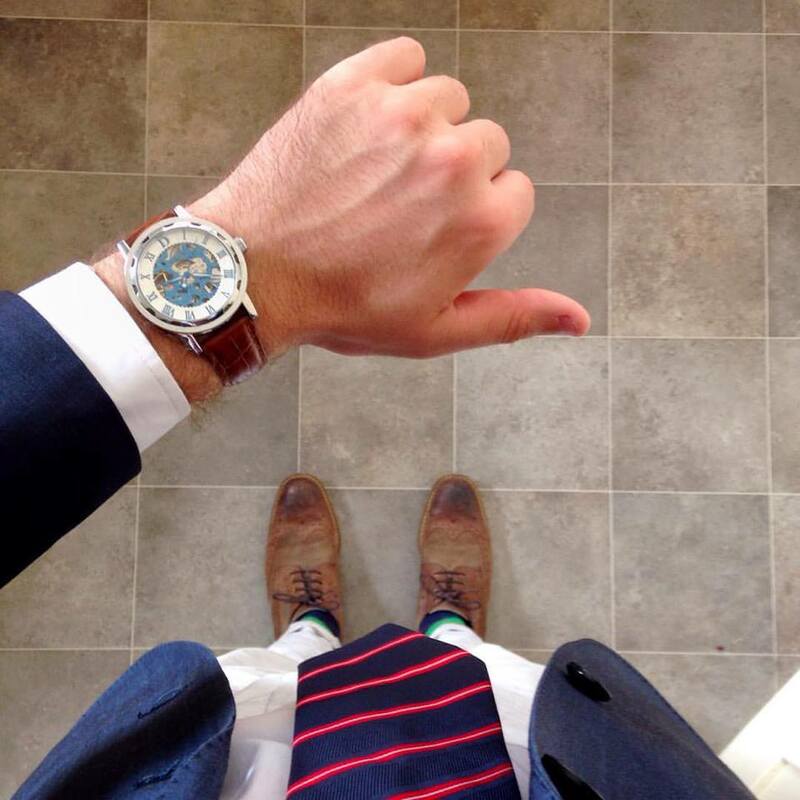 Navy and Stone is one of my favourite colour combinations because it helps to create a strong, classic style look. Since the lighting in my kitchen was gleaming this morning I thought it would be a shame to miss out on snapping some pictures for your guys! 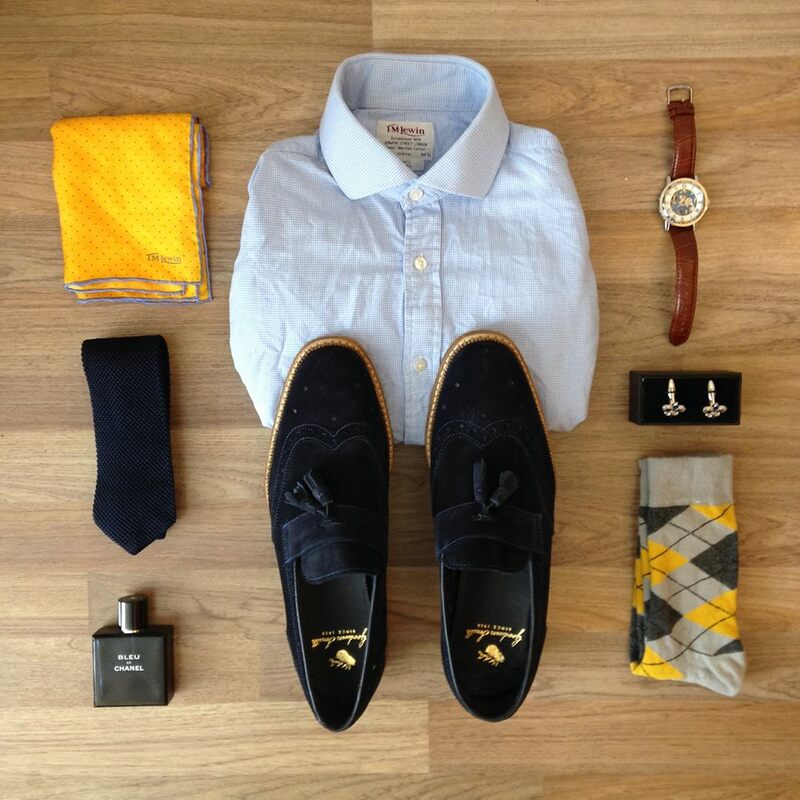 My favourite part of styling this outfit had to be pairing the Burton Navy club stripe tie with the TM Lewin Yellow polka pocket Square. Which is your favourite detail? Enjoy the bank holiday! 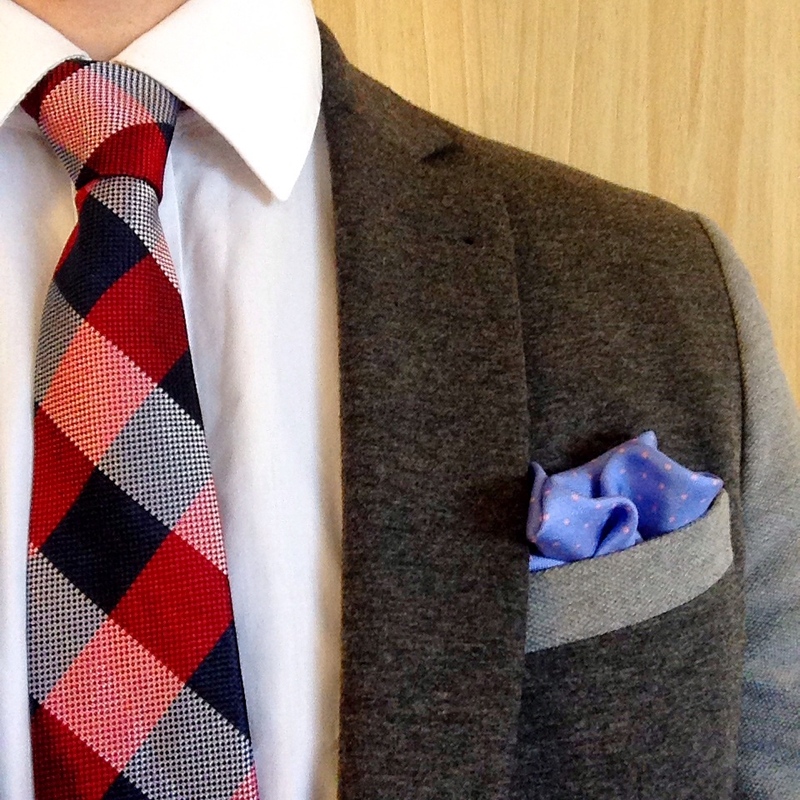 People steer clear of lapel pins because they often think they look too dressy. Most people commonly associate lapel accessories with weddings and other very flamboyant occasions. 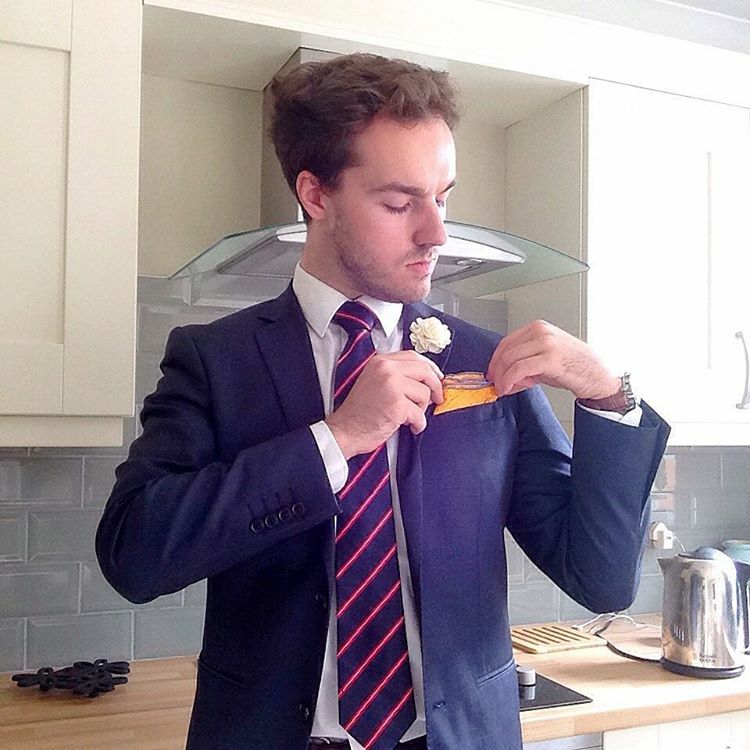 I’m here to diminish any hesitations you have about accessorising your lapels in order that you can add a further dimension to your daily outfits. 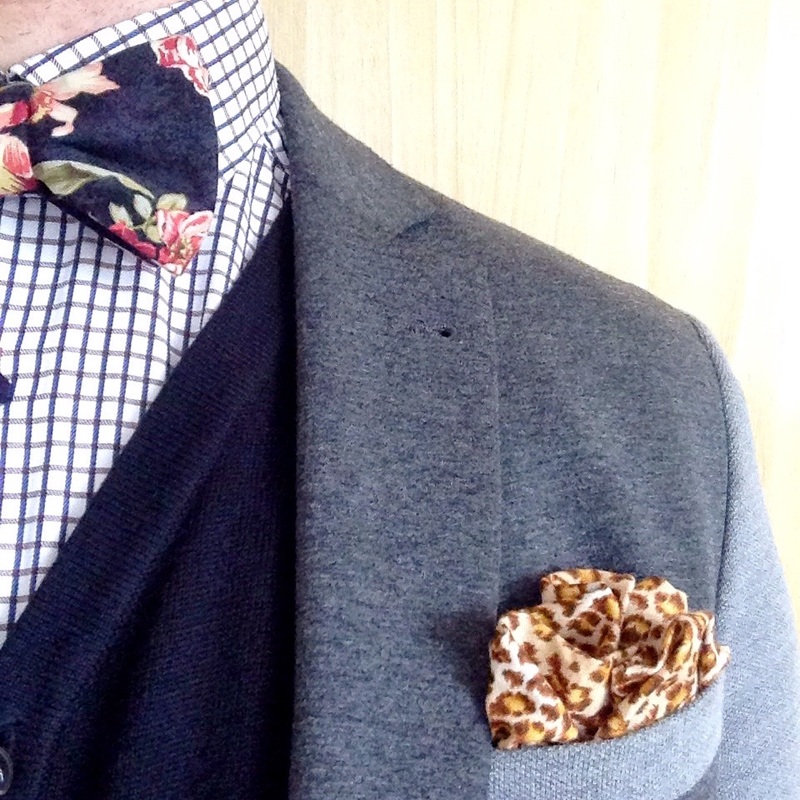 Lapel pins are fantastic for adding pattern to your outfit. Since most pins are small you can go really bold with a lapel pin and it will never over-awe your look. When using a patterned lapel pin try to keep your patterns consistent or, alternatively, make the lapel pin your pattern centre and pair with plains. A substitution for the lapel pin pictured above can be found here. 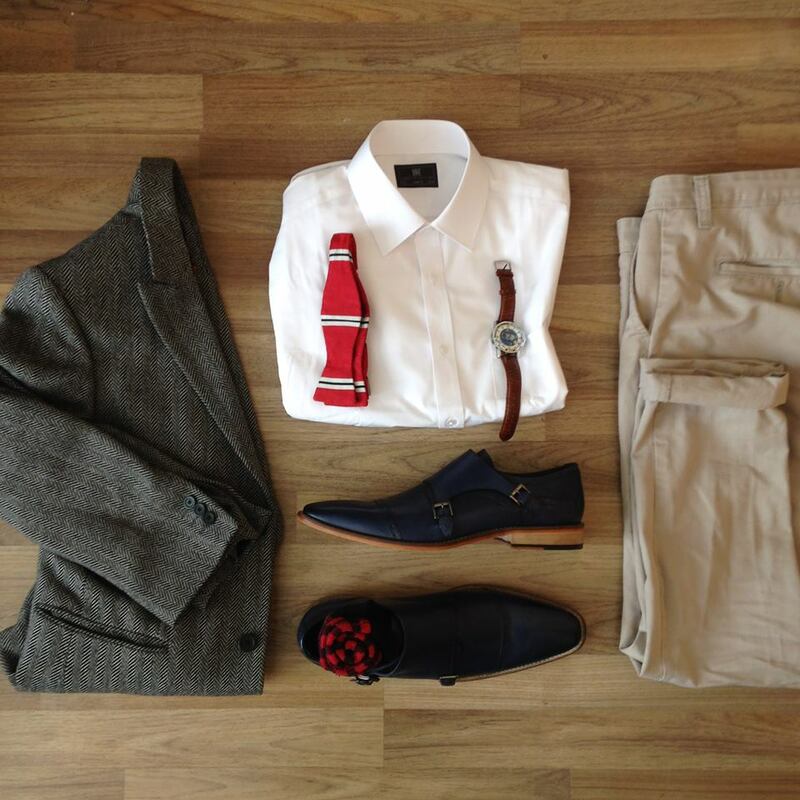 When styling your pin consider items in your outfit that will complement the colour of your lapel accessory. Above I have used a Stone lapel rose which works nicely with White shirt, Black cardigan and Grey blazer, maintaining the overall monochrome base. Since this lapel pin is relatively small and elegant it never gives the impression that you’re attending a hideously formal event. Find your more subtle pin here! There are so many size, colour, pattern and shape variations across lapel pins that it is hard to give any specific guidelines on shape and size when purchasing. Since this area is so subjective it largely boils down to your personal preference. 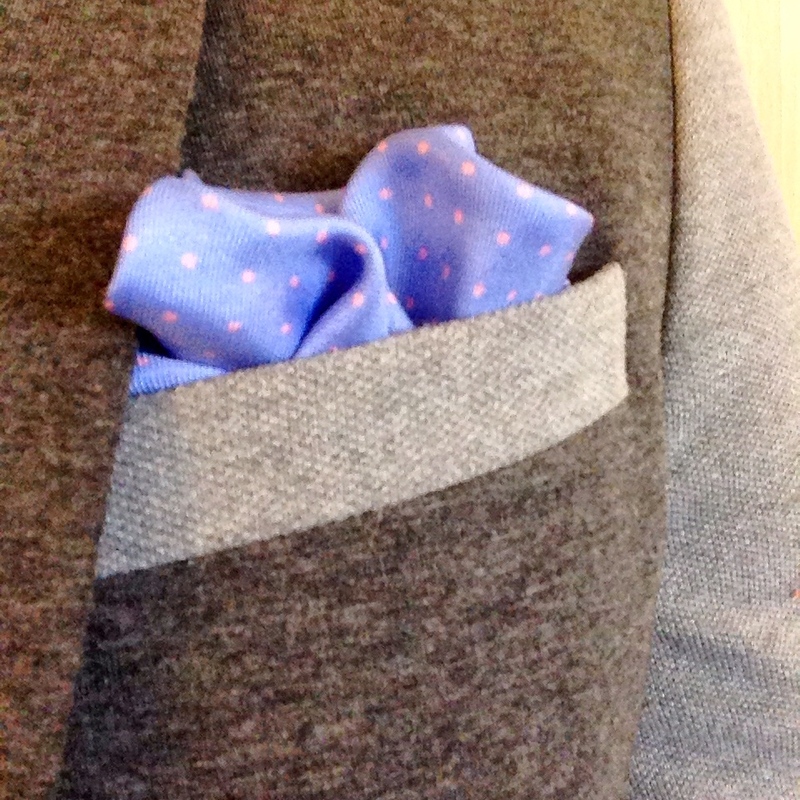 I often opt for a simple lapel flower or something simple that won’t detract from my outfit or become an unwanted focus. My main advice here is to shop around and see what takes your fancy. Perhaps a vintage inspired crest pin? Find an example here. 4) Where do I wear it? Typically your lapel pin is worn on the same side as your chest pocket on the front of your jacket or blazer. Many jackets come with a pre-formed lapel hole where one might insert a lapel pin. When there aren’t lapel holes or chest pockets you have more freedom to place your pin as you see fit. 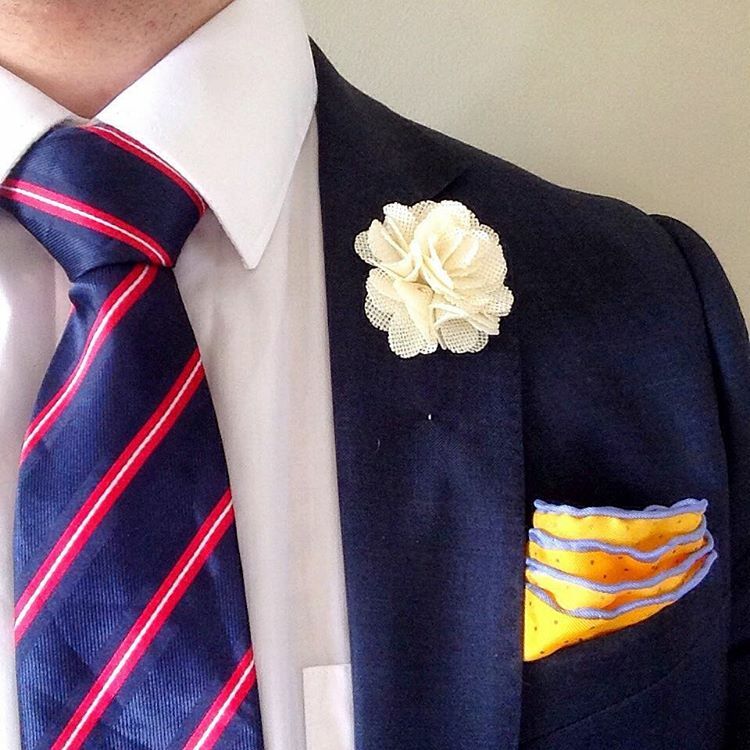 You can find a similar flower lapel pin here. – Invest in lapel pins that you think will complement your style. 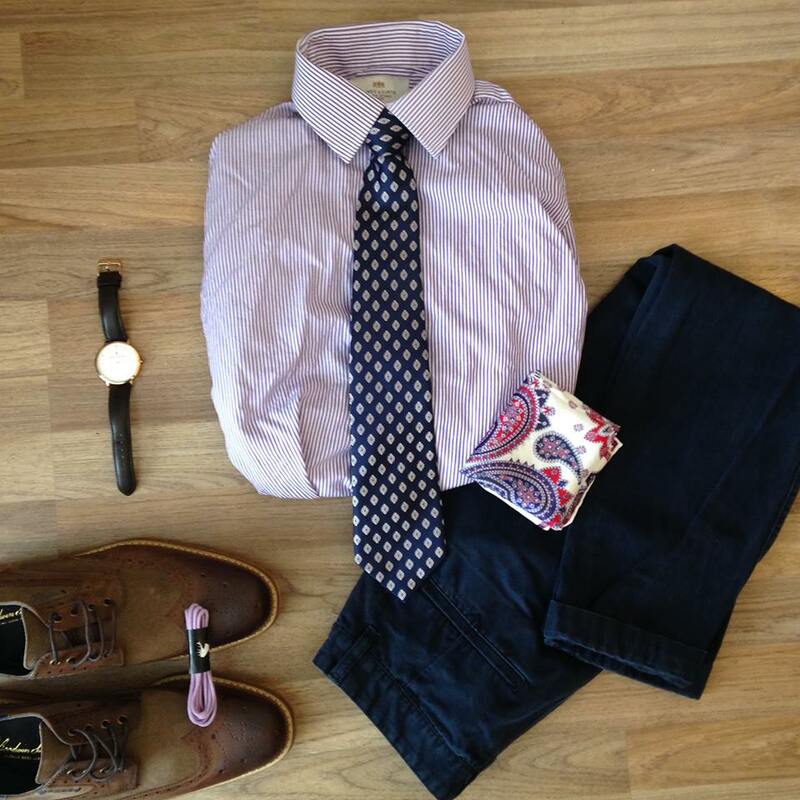 – Match patterned pins with items that don’t make your outfit too busy. 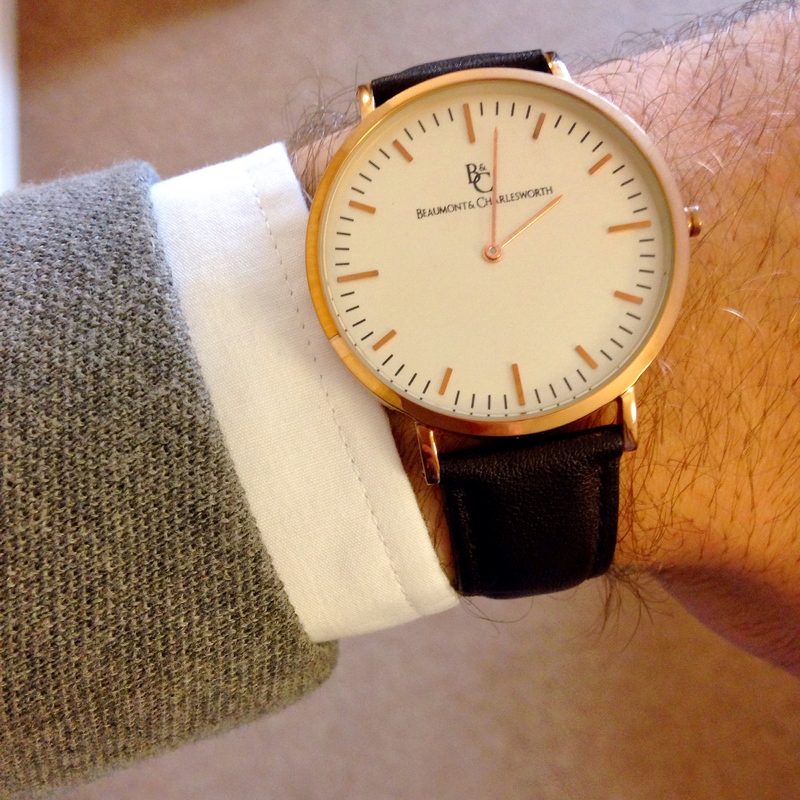 – If worried about the ‘wedding’ look go for something small and understated. – Wear on the lapel above your jacket pocket if possible, otherwise at discretion. – Make use of this underused accessory and enjoy wearing with pride! Apologies for my blogging hiatus ladies and gents, unforeseen personal circumstances have prevented me from posting any blog content for the last month. I will aim to resume regular posting of content immediately. 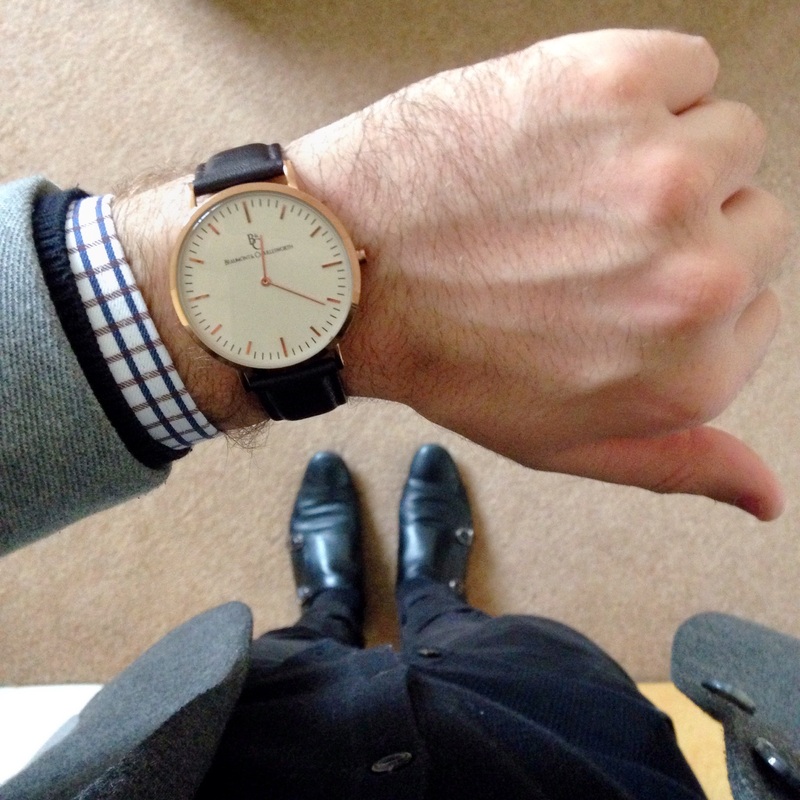 Tonight I’m posting about my outfit for today, Thursday 25th June 2015. 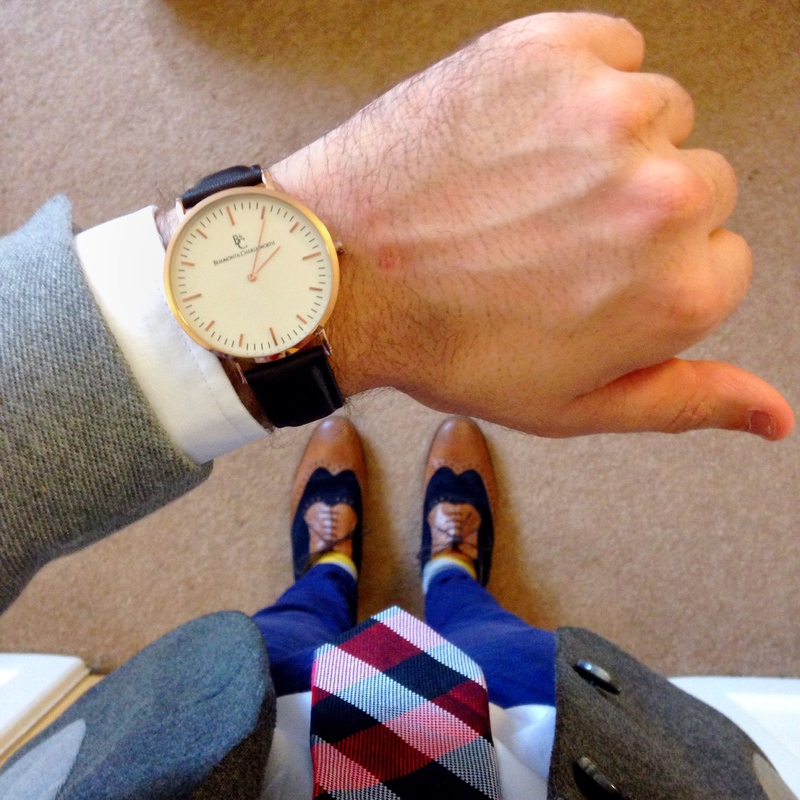 Dress like the person you want to become! They say your shoes speak volumes about you. 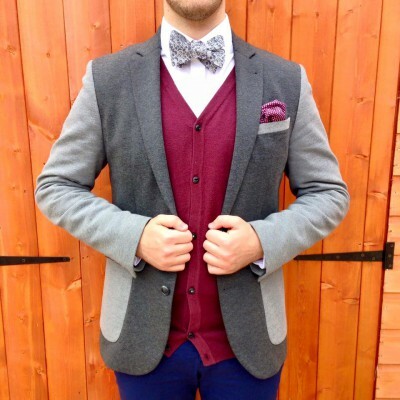 When styling this outfit I started out by knowing that I wanted to use this particular bow tie. The silver scales bow tie from Le Papillon is really detailed so I wanted to match it with something that was of a similar colour match but plain. The Grey contrast blazer is ideal because it is a monochrome colour match which then allows for further subtle pattern and colour mixing. 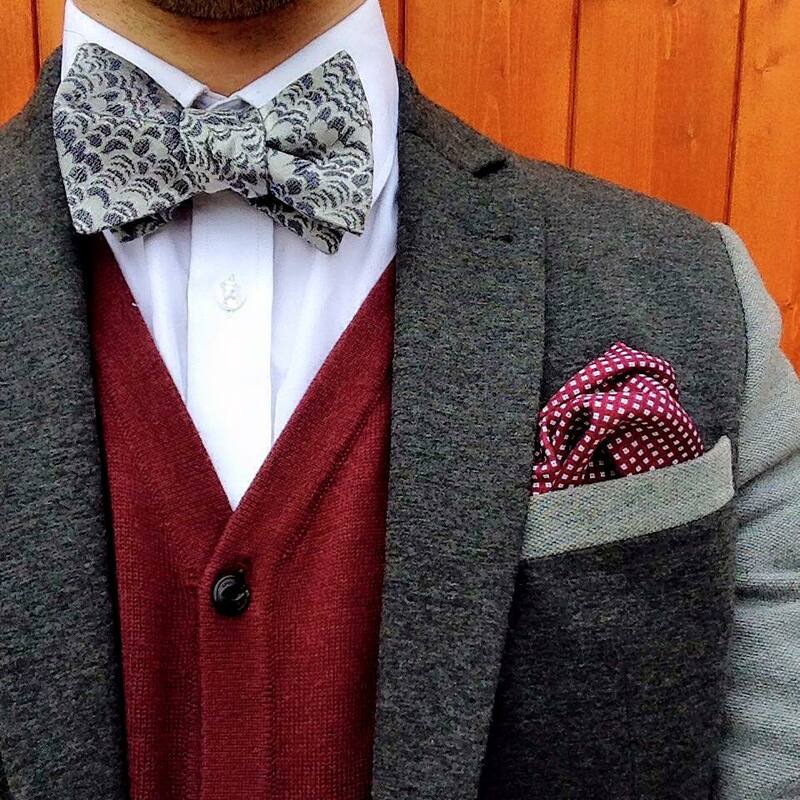 The other main theme within this outfit is Burgundy, found in the cardigan and pattern pocket square. 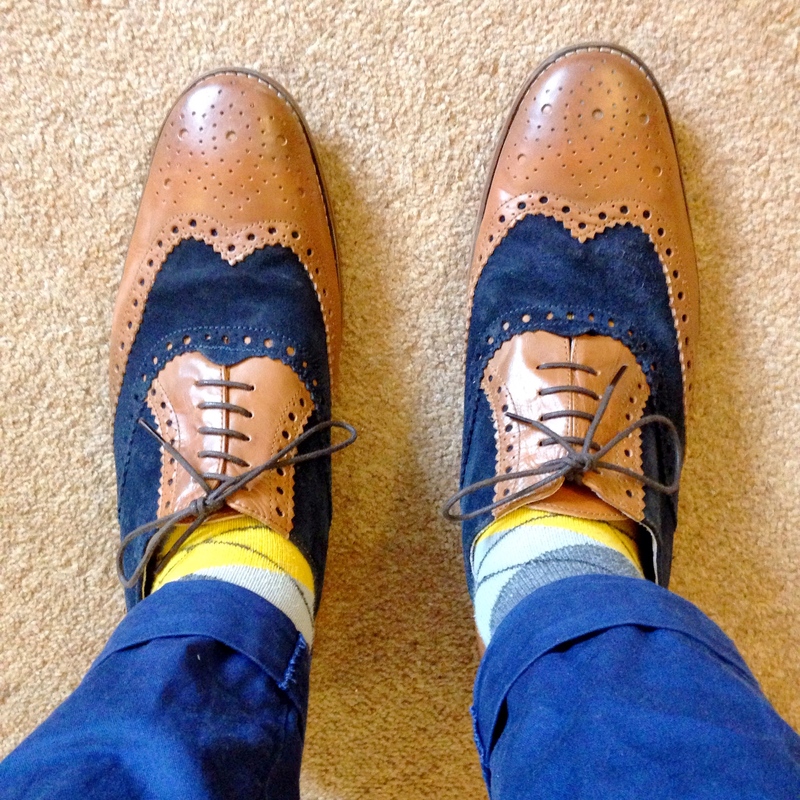 I love how playful the socks are against the brogues and Blue chinos, which is your favourite item? For more content from me, please do check out my instagram accounts: @eskricke and @broguesandbraces. 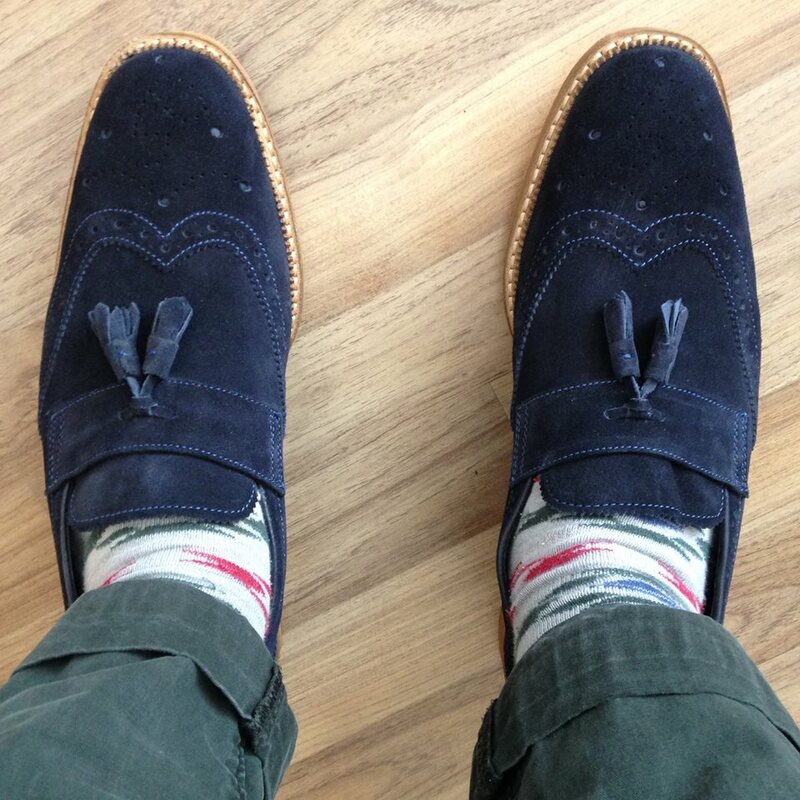 Yesterday I received a fantastic package from @goodwinsmithuk containing three pairs of beautiful shoes. 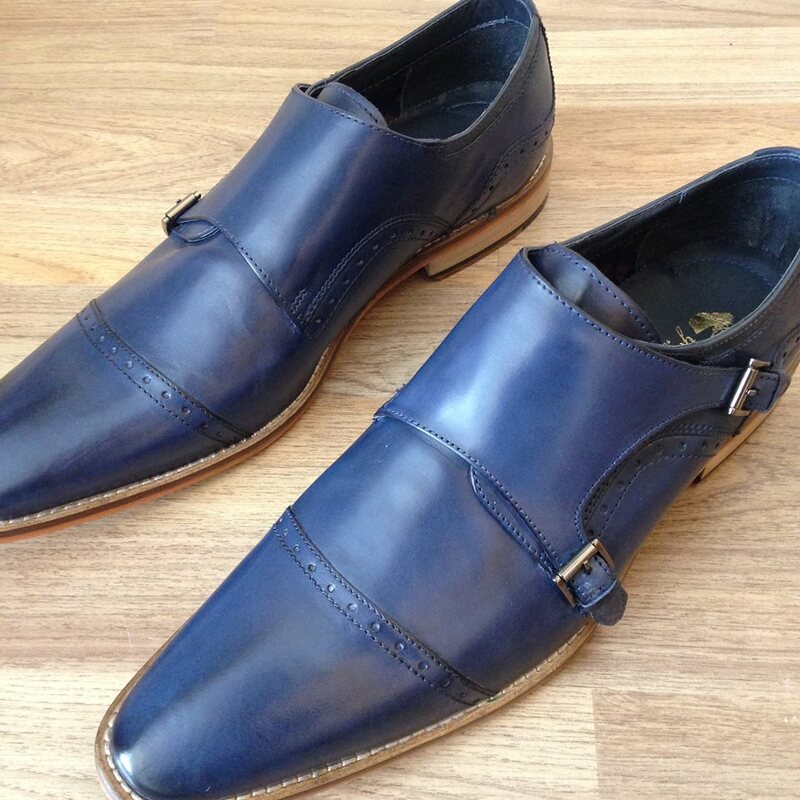 There was a pair of Tunstead Blue Monk-strap Shoes, a pair of Irwell Navy Tassel-loafers and a pair of Weir Tan & Brown Brogues. 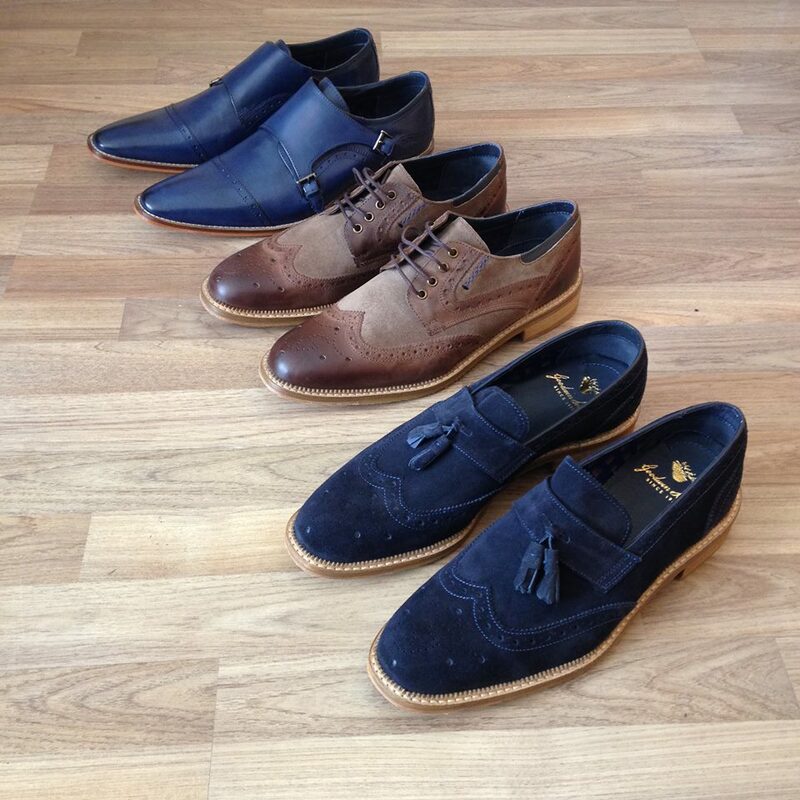 All of these shoes are immaculate quality, fantastically comfy and finished to perfection. The packaging is classy and the product itself is, in all three cases, beautiful to look at and to wear on. Their customer service was lovely and delivery was prompt. I cannot fault my experience in collaboration with this company. 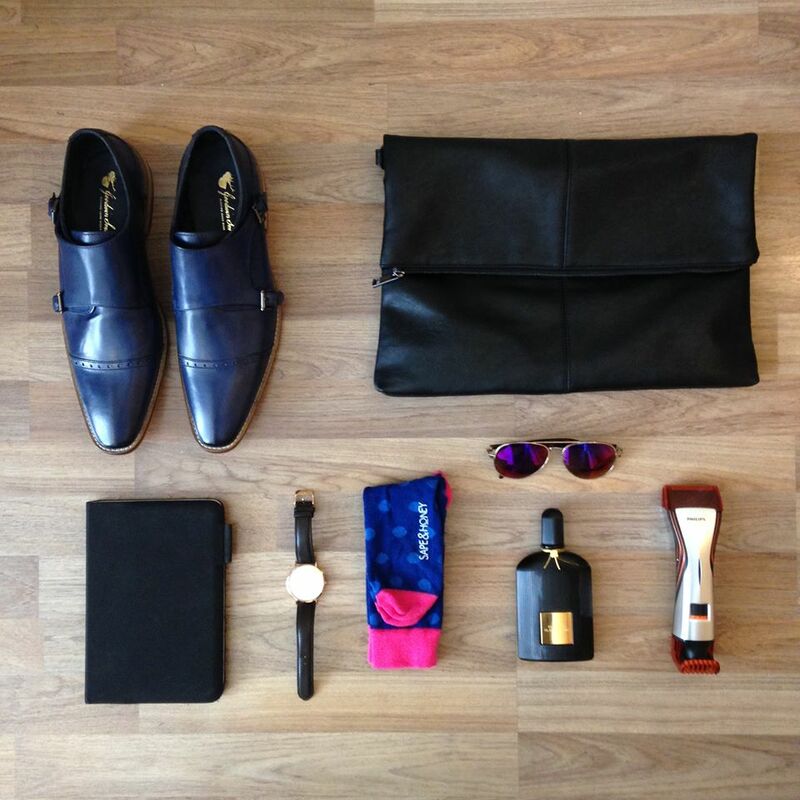 Below I have styled the three pairs of shoes and I have labelled as appropriate so you get an idea of my styling work with these products. 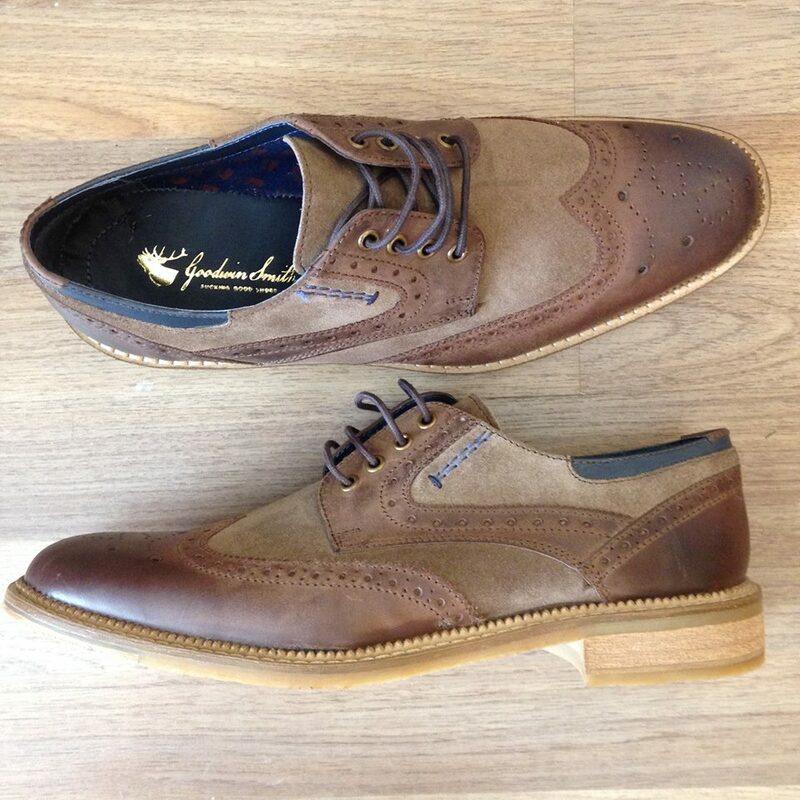 Goodwin Smith Collaboration: All 3 pairs of shoes. If you like the look of these products you can check out the Goodwin Smith website HERE, their Instagram HERE and their Twitter HERE! 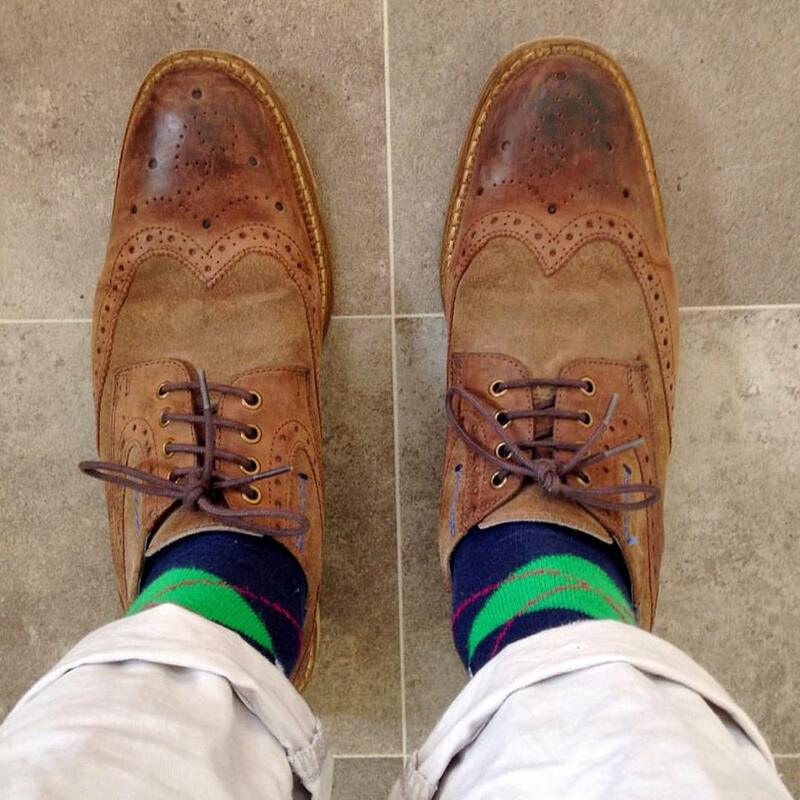 You can check out more of my content on Instagram HERE and on my Sartorial Fashion Blog @broguesandbraces HERE. Thanks for reading, comment with your thoughts below and I’ll respond as swiftly as possible. I’ll try to post every few days from now on as I don’t want to bombard your inboxes. When forming this outfit I set out to try to make sure that the check pocket square didn’t overwhelm the rest of the outfit. That’s why I paired the light polka pattern Burgundy tie together with this so that the two patterns didn’t ever conflict. 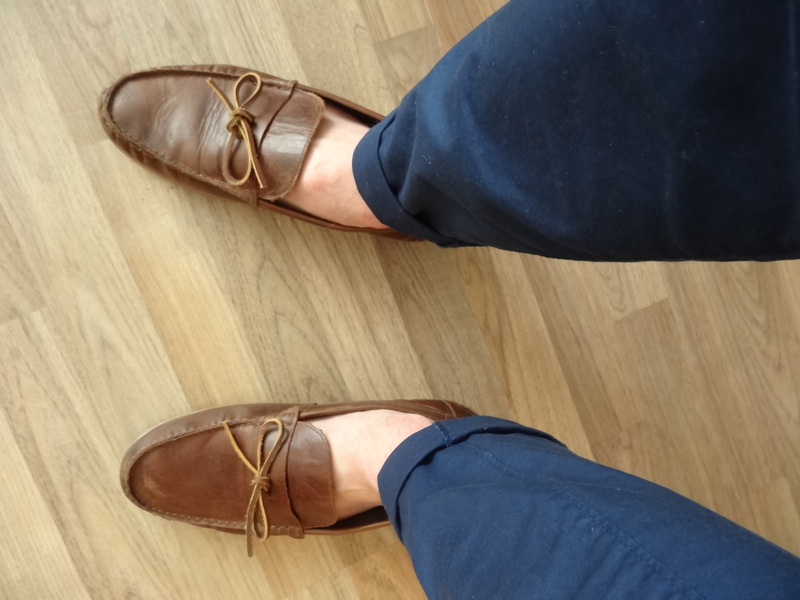 Using Stone as a Spring staple colour, I’ve combined Blue chinos and Tan loafers to help make this seasonal and more sartorially informal. For more content from me: follow this blog or check out my instagram accounts: @eskricke, @broguesandbraces and @eskricke_lifestyle.